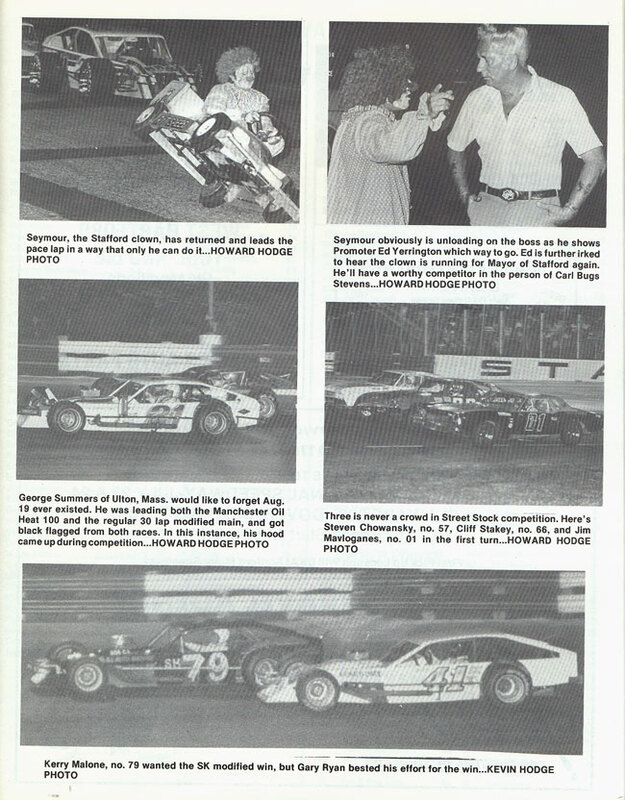 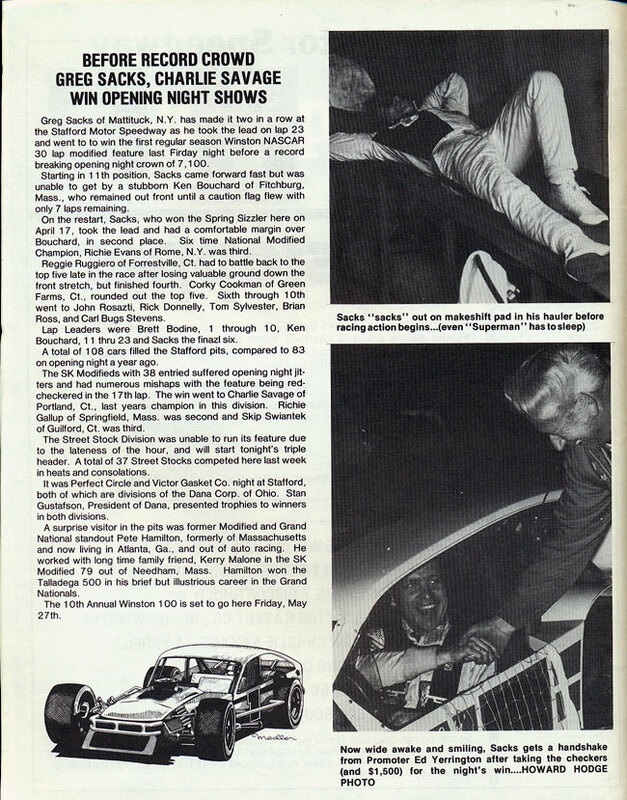 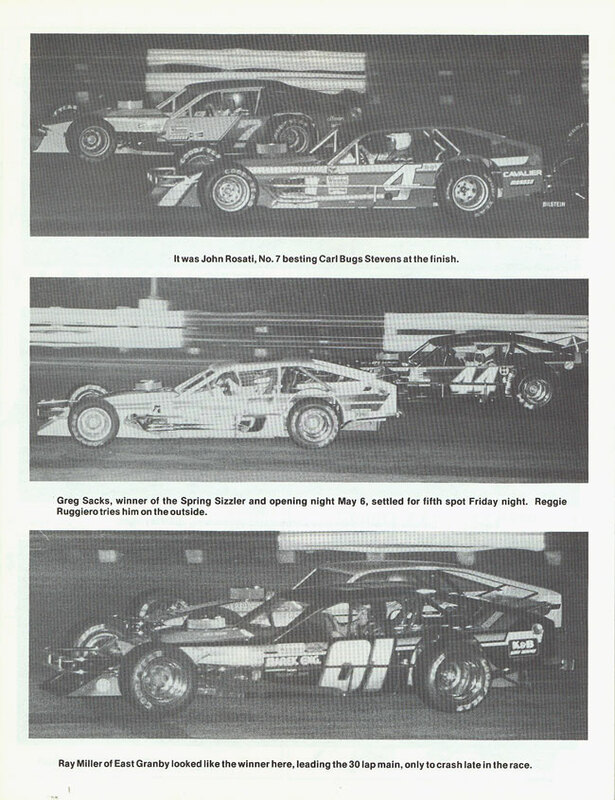 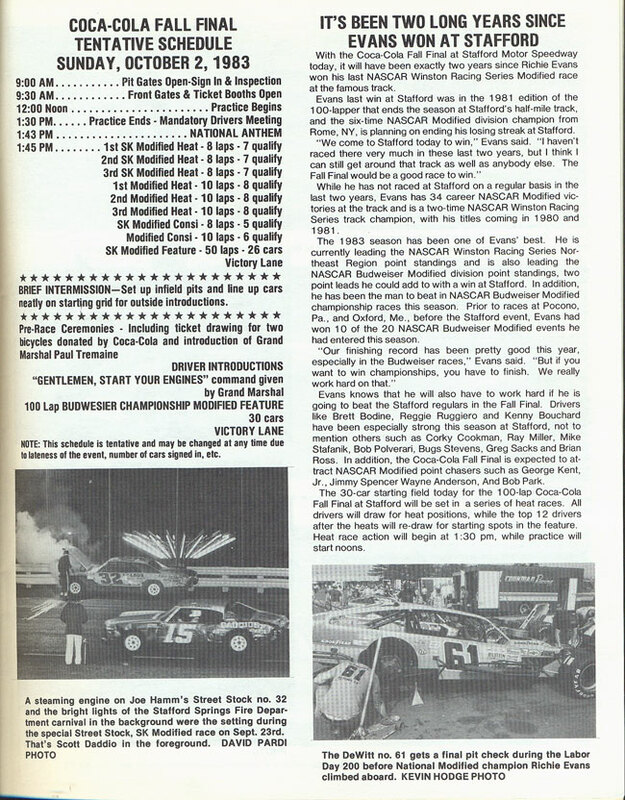 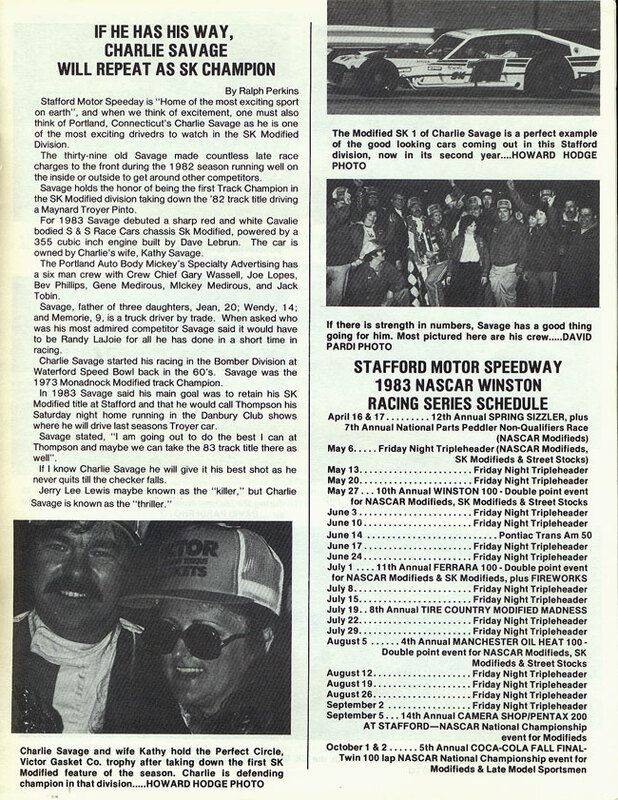 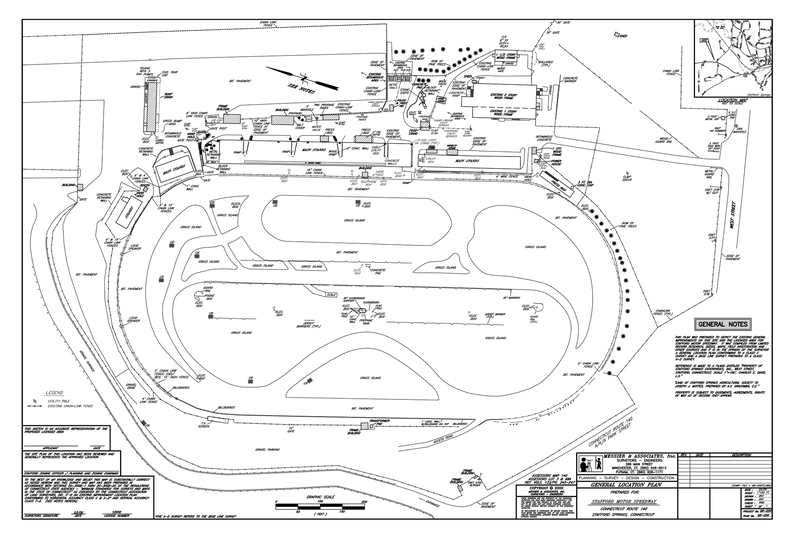 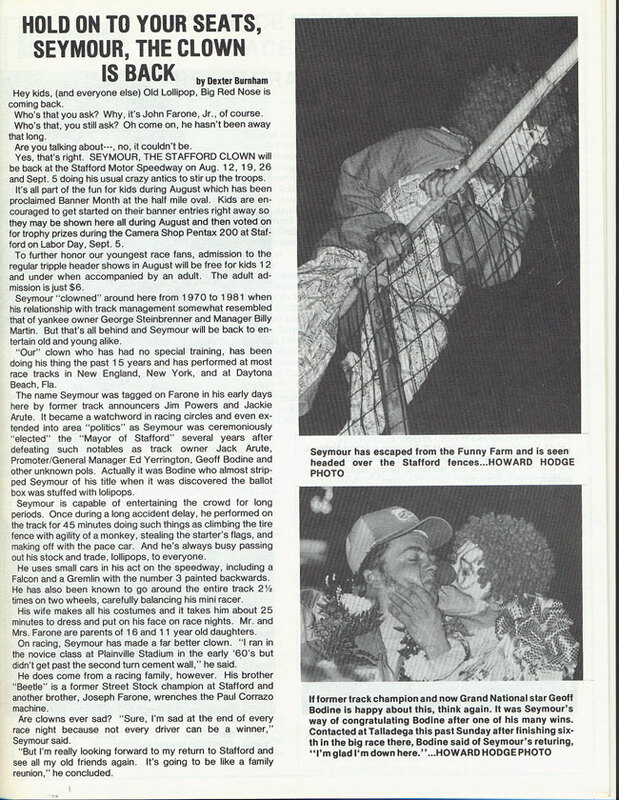 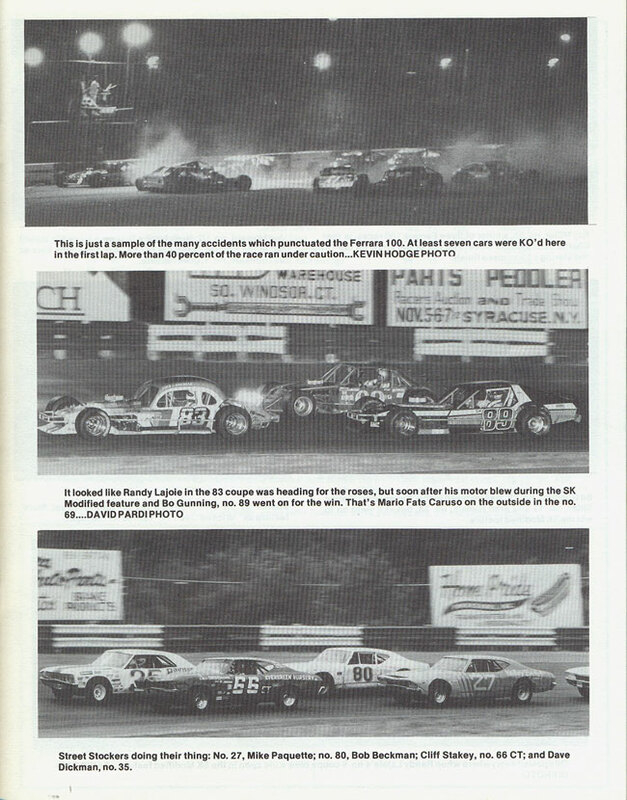 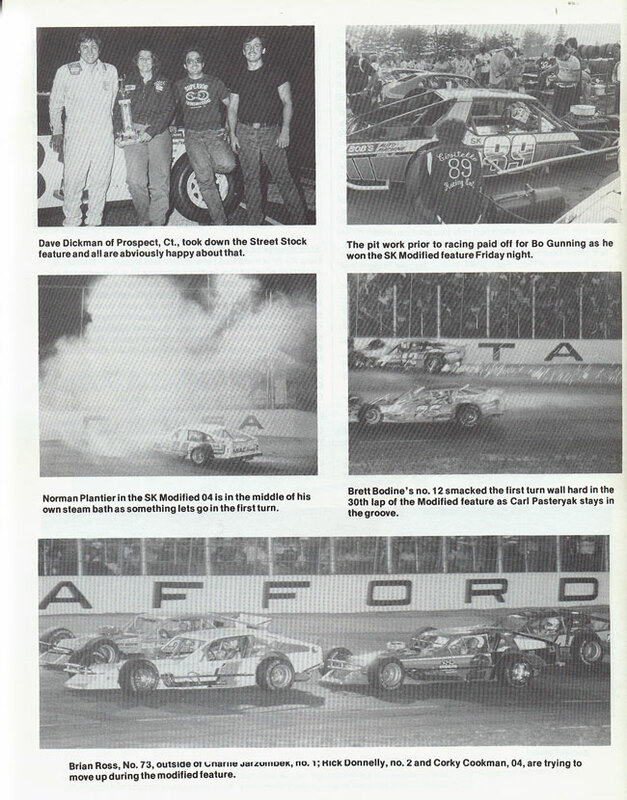 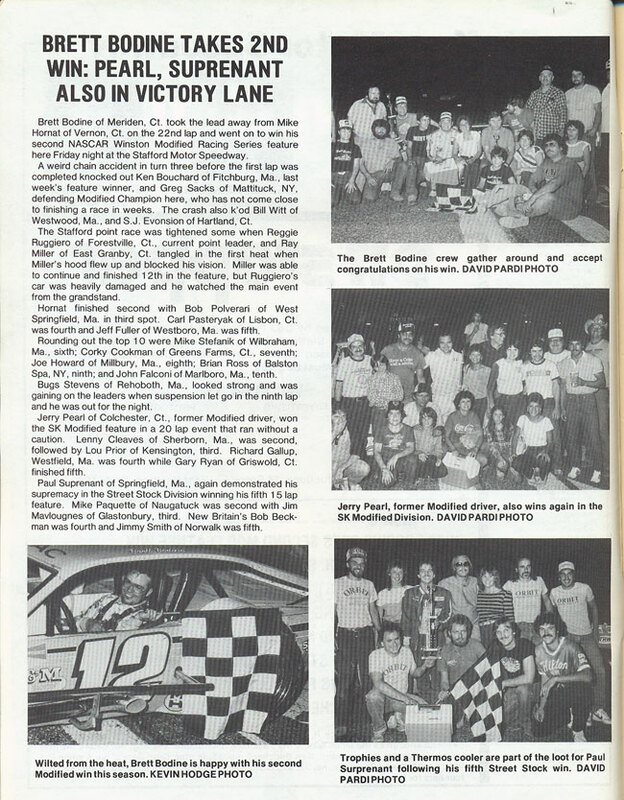 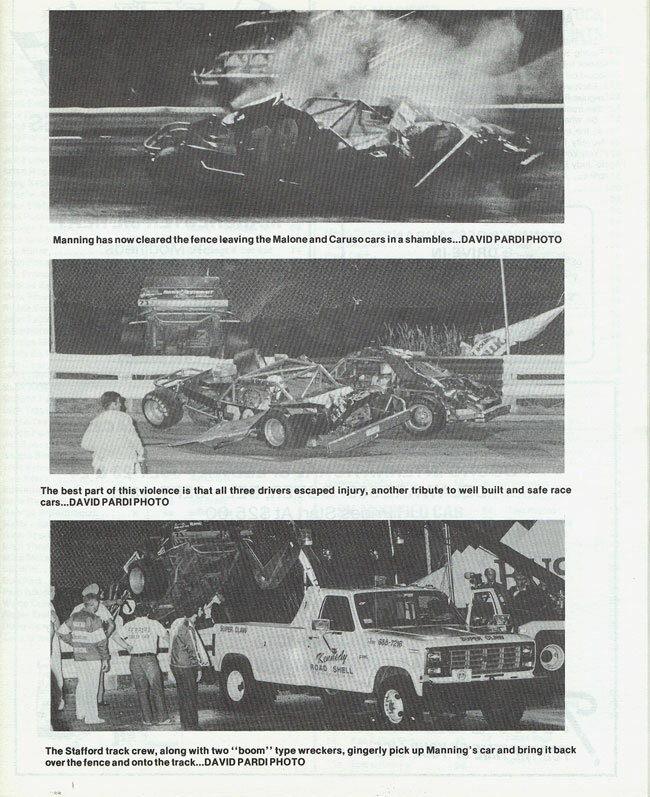 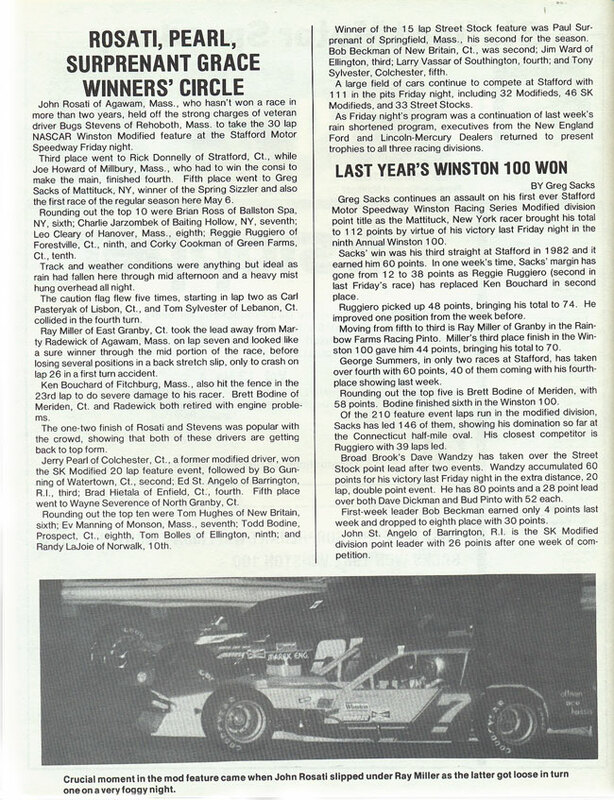 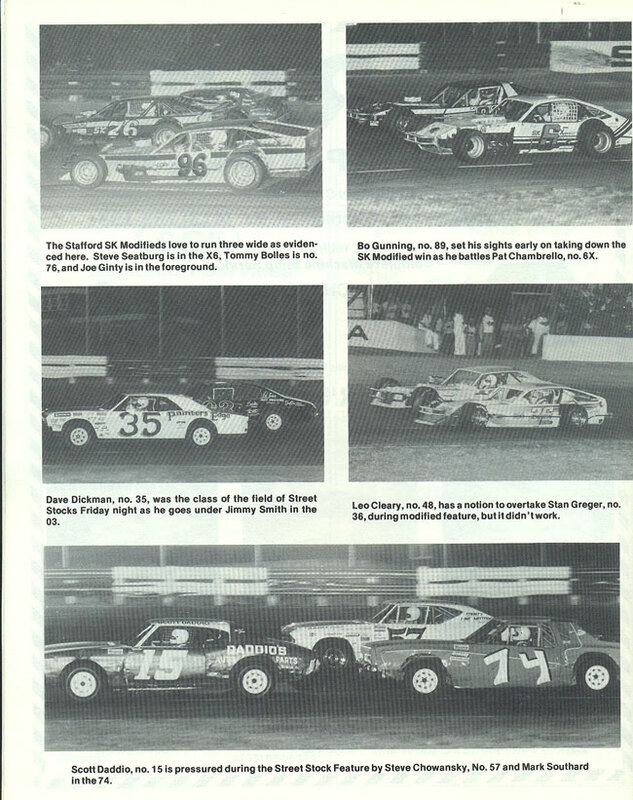 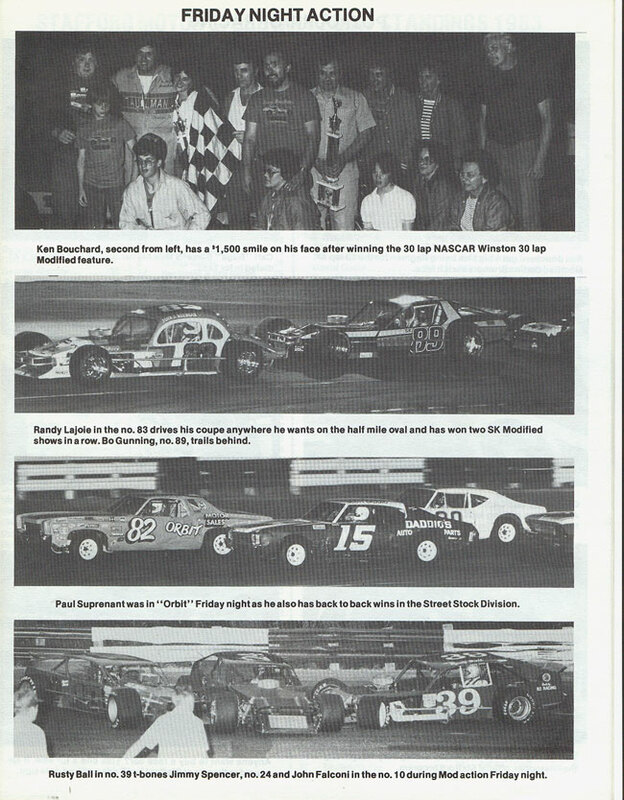 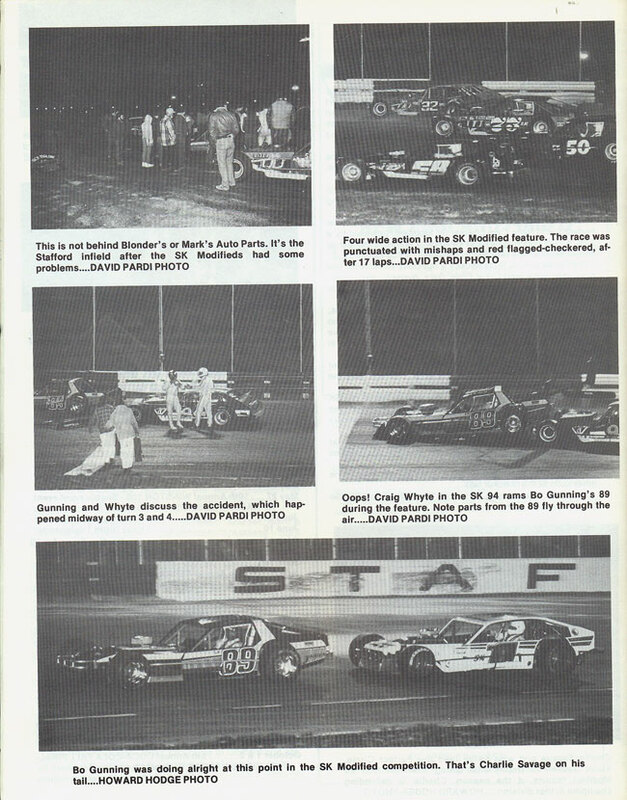 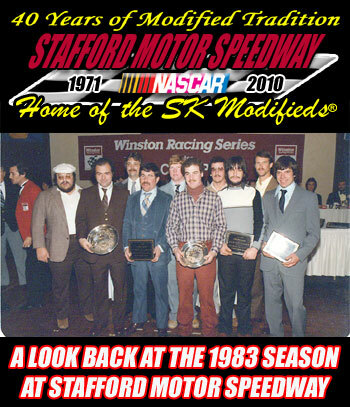 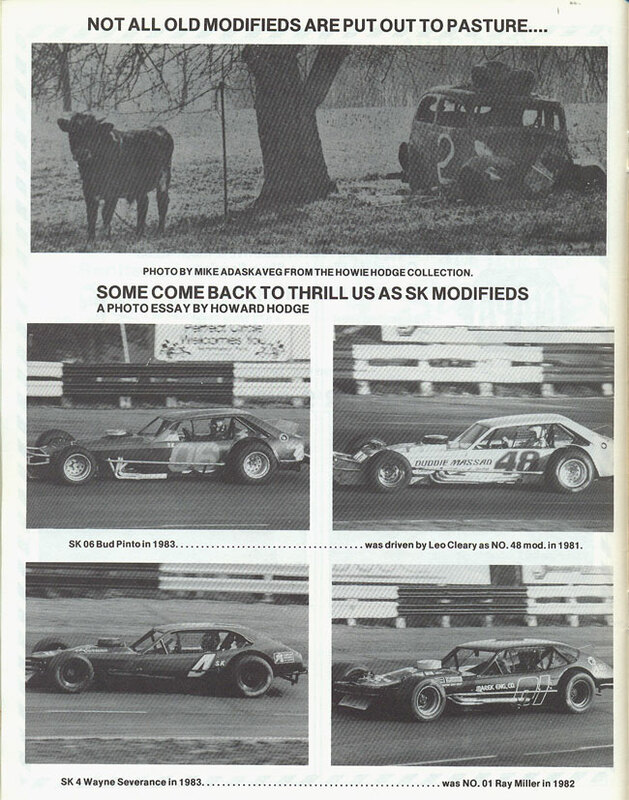 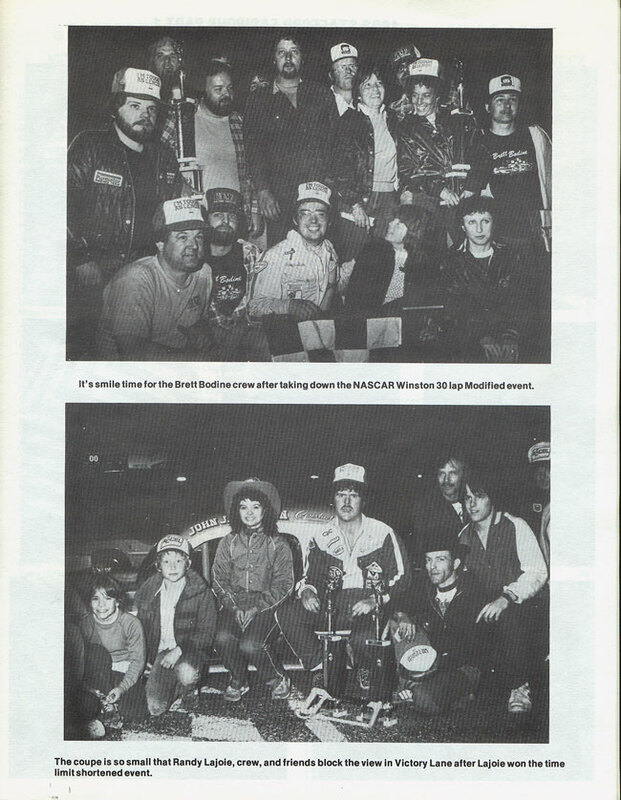 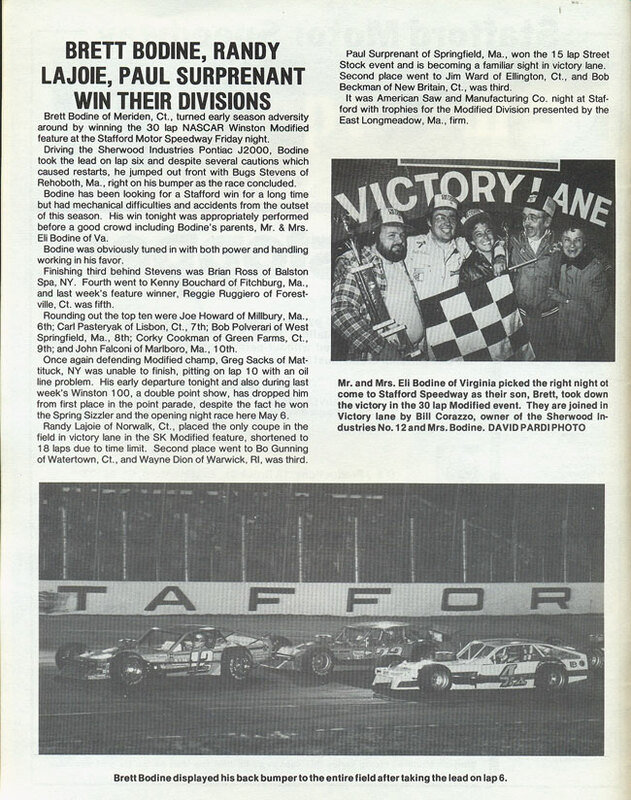 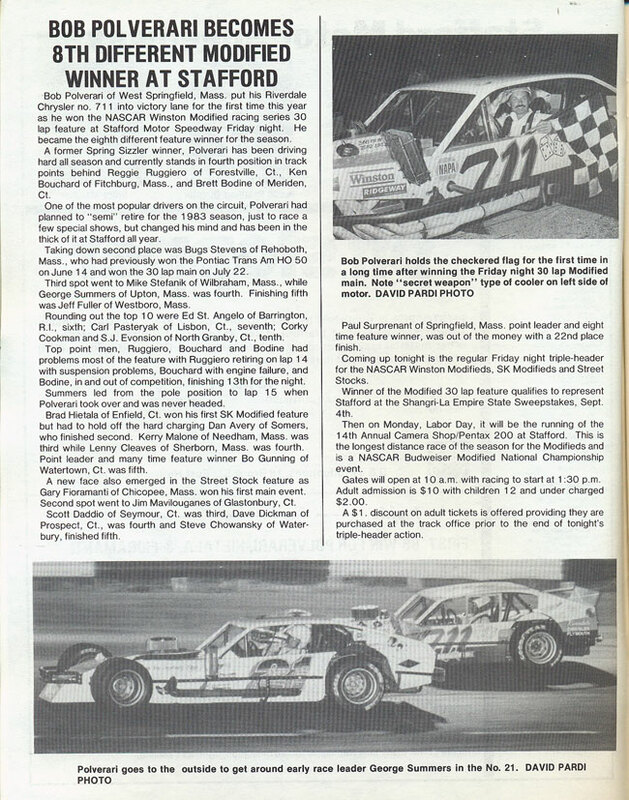 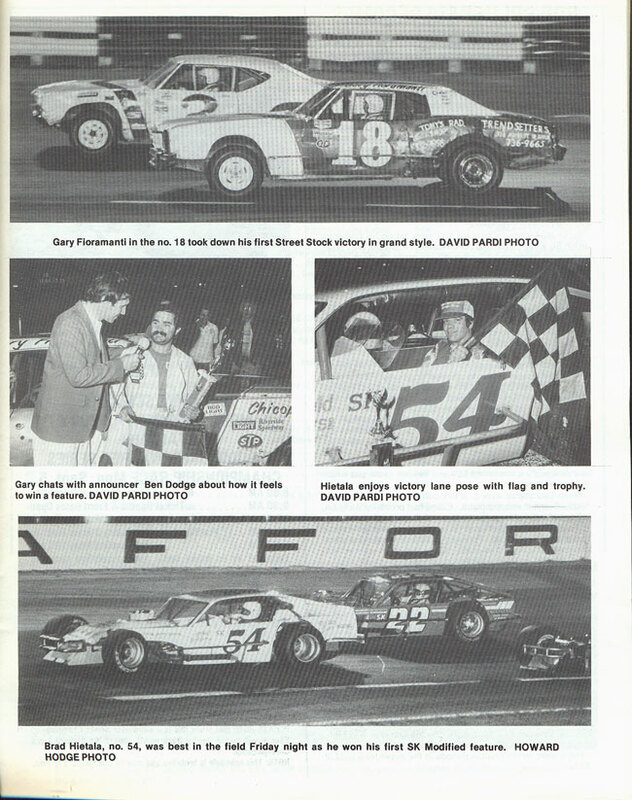 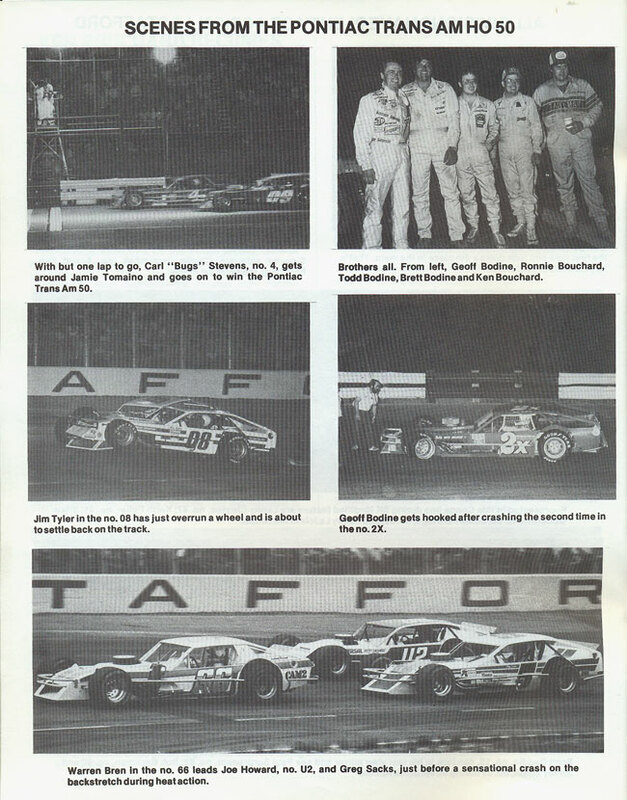 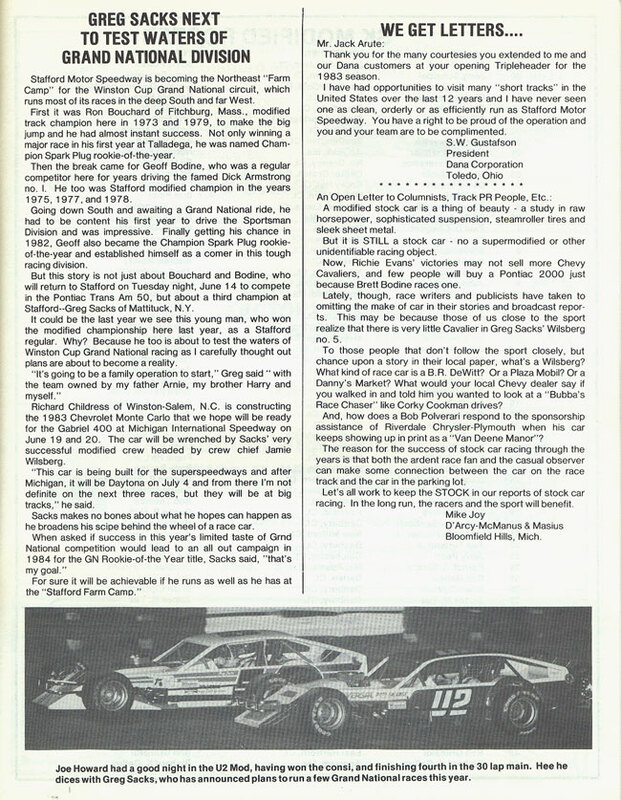 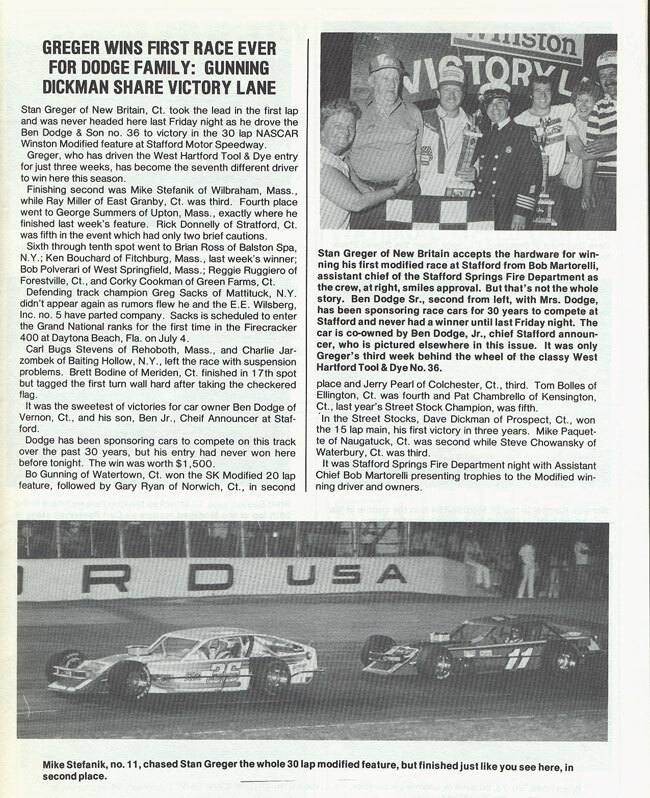 The 1983 season at Stafford Motor Speedway began with what appeared to be a repeat of the 1982 season. 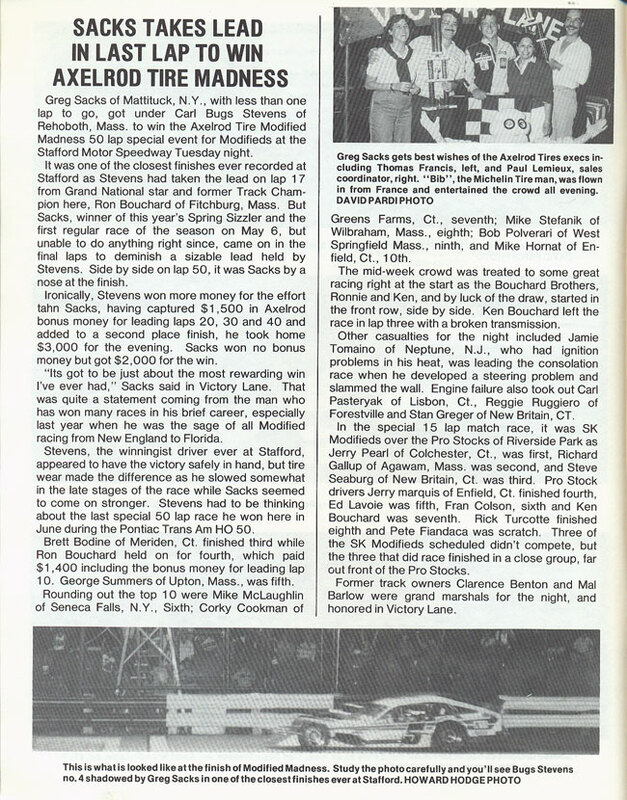 Greg Sacks won the Spring Sizzler and he became the first driver to win the race after hitting pit road for fresh tires. 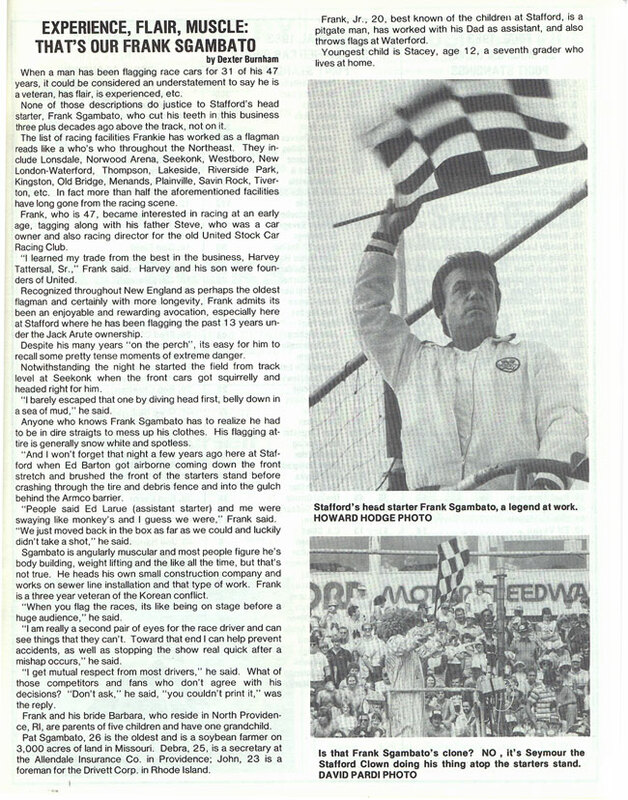 But the good fortune of 1982 would desert Sacks as he ran into trouble on the track week after week. 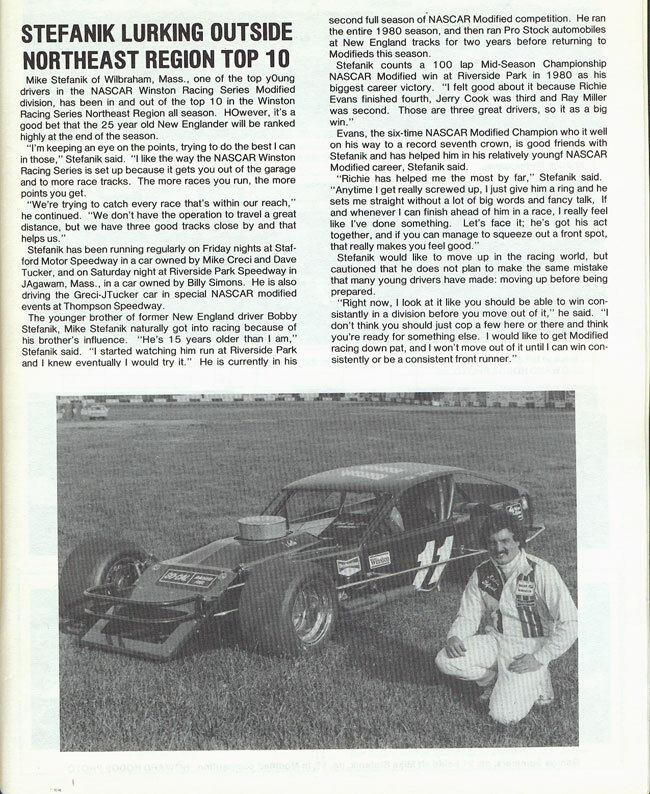 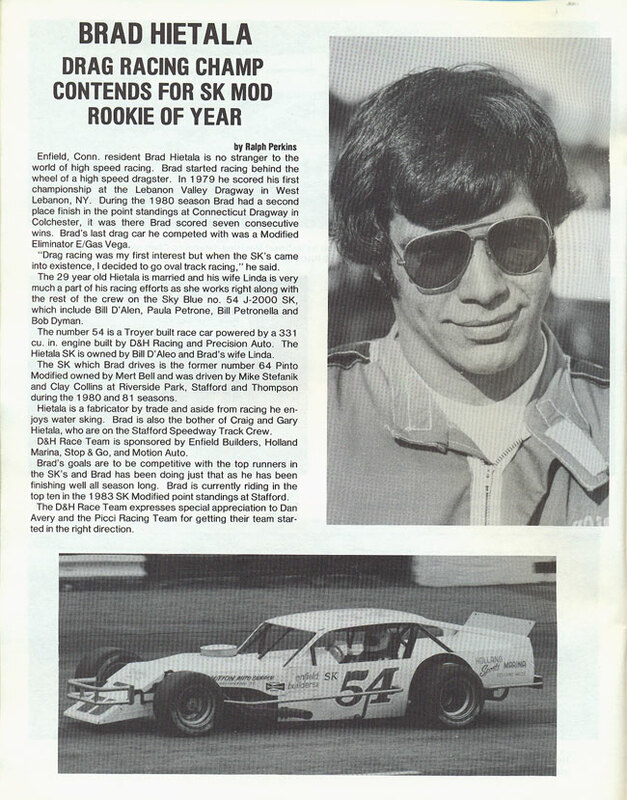 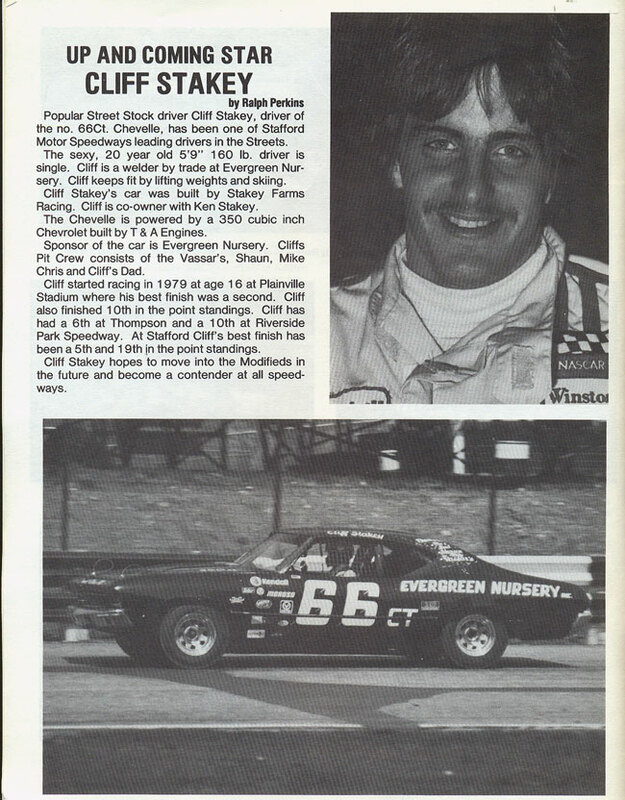 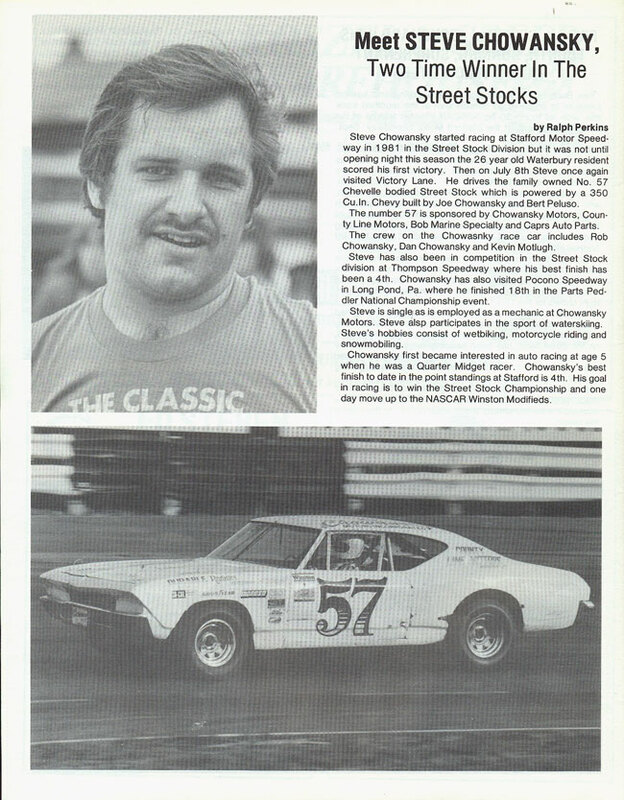 Once the summer months hit, Sacks missed several races at Stafford in order to get his NASCAR Grand National career off the ground. 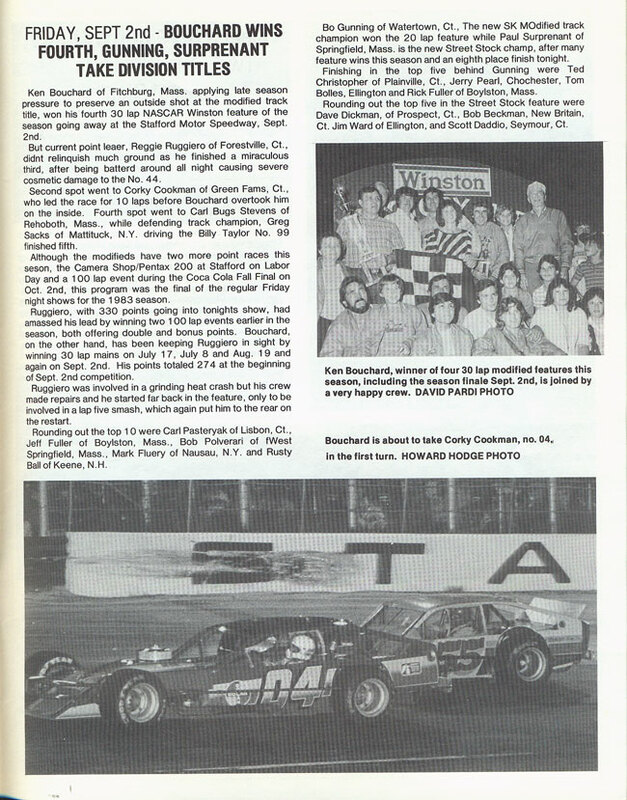 This opened the door for a new track champion in the form of Reggie Ruggiero. 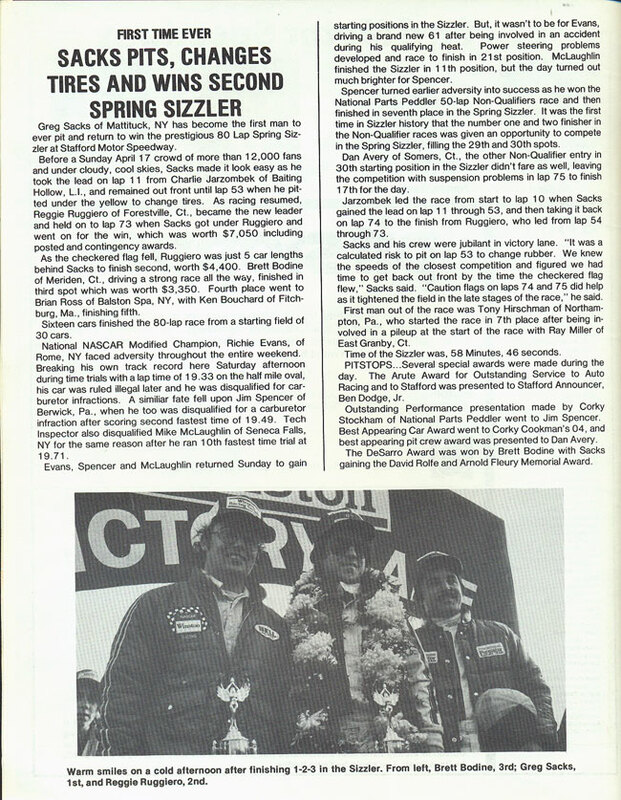 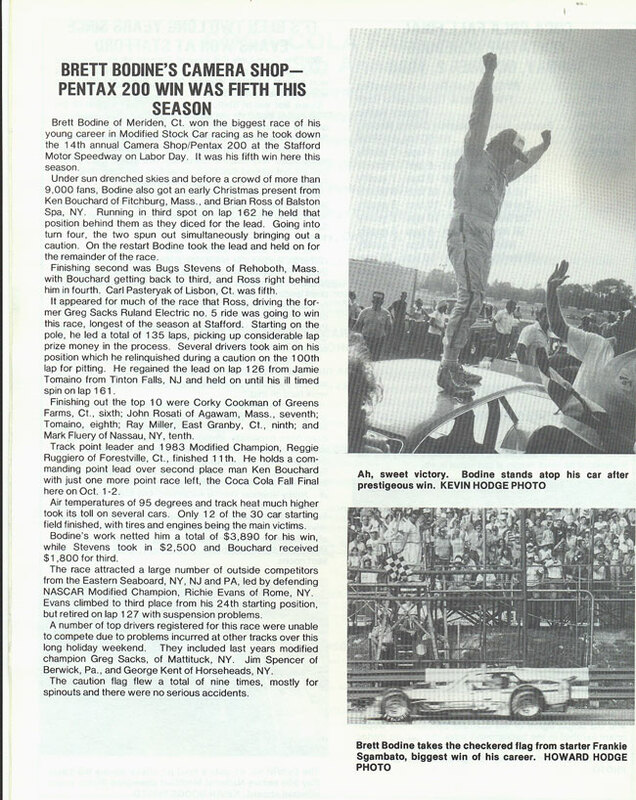 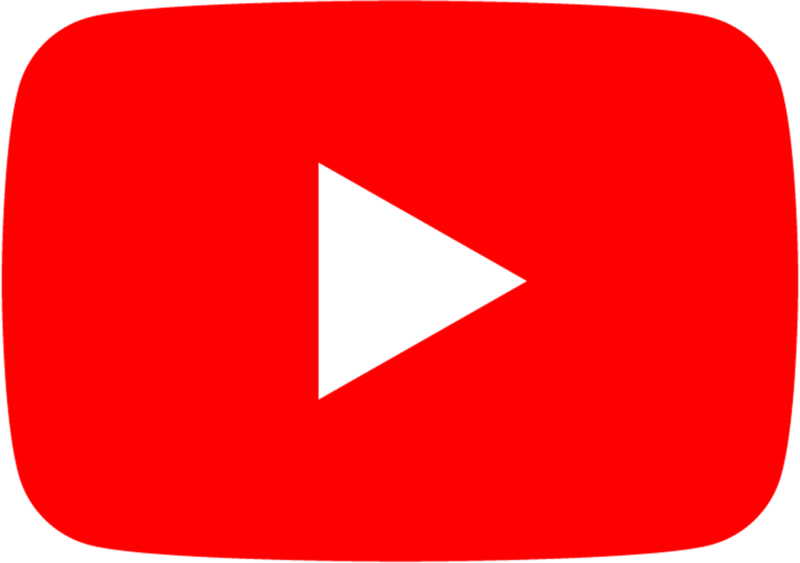 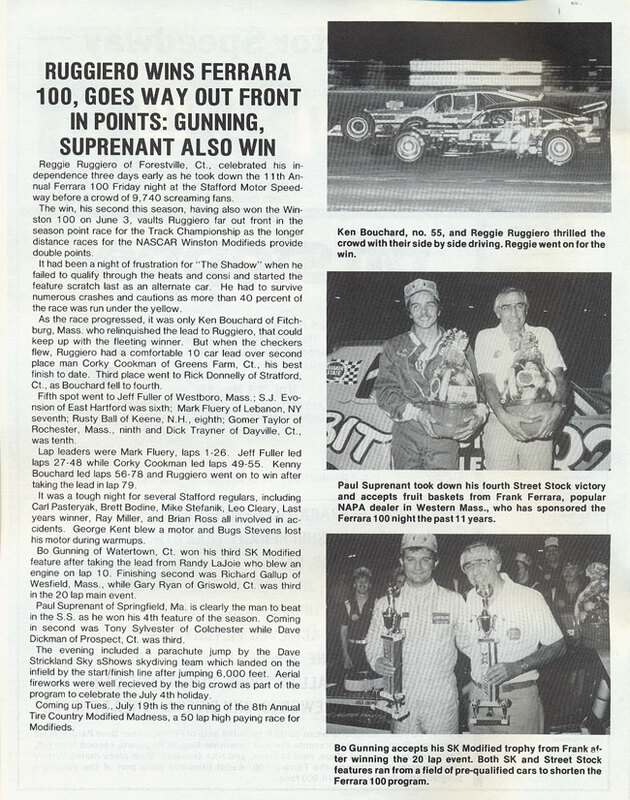 Ruggiero would only win twice during the 1983 season, but he made both of his wins count as he won the Winston 100 and the Ferrara 100, both of which were double point races. 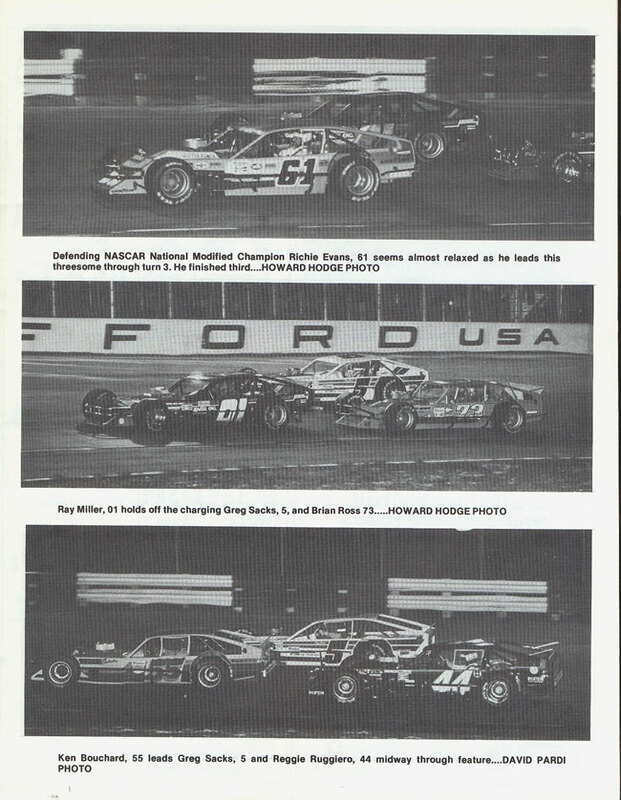 Ken Bouchard finished second with Brett Bodine rounding out the podium for the track championship. 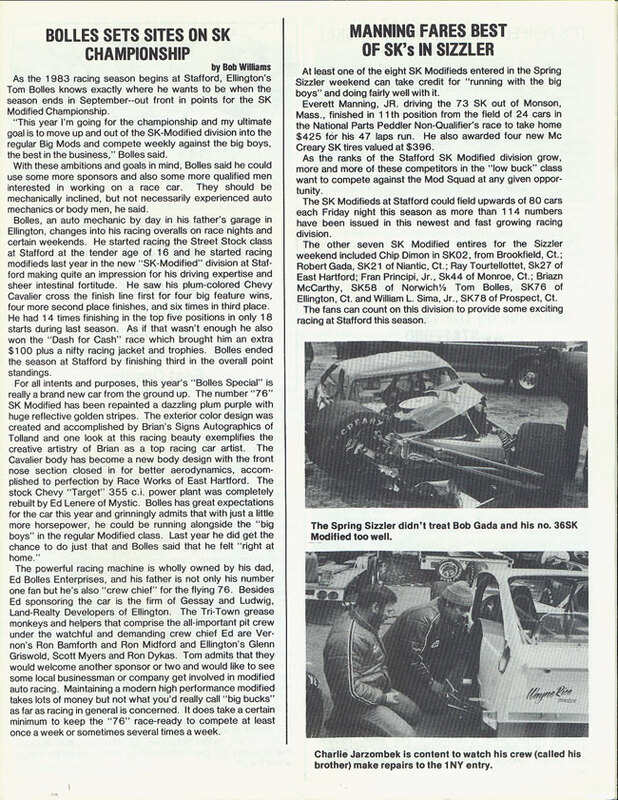 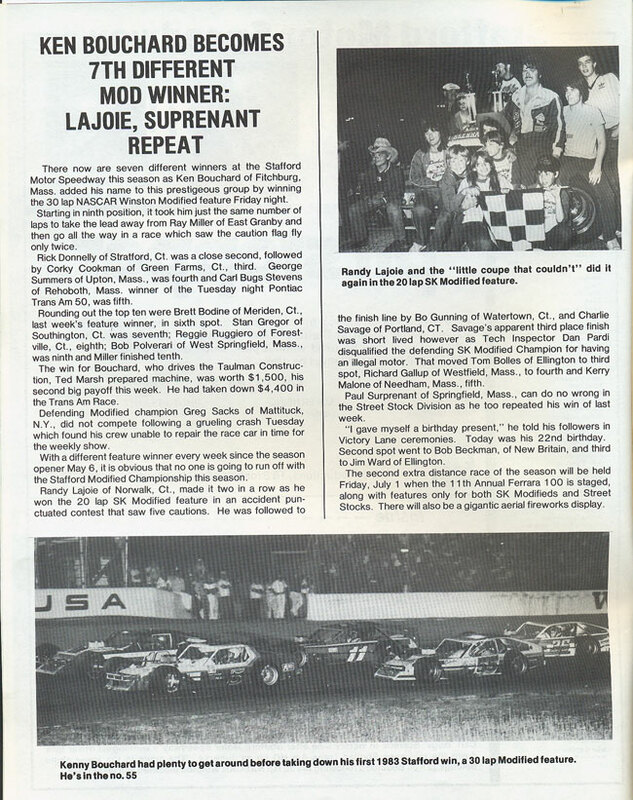 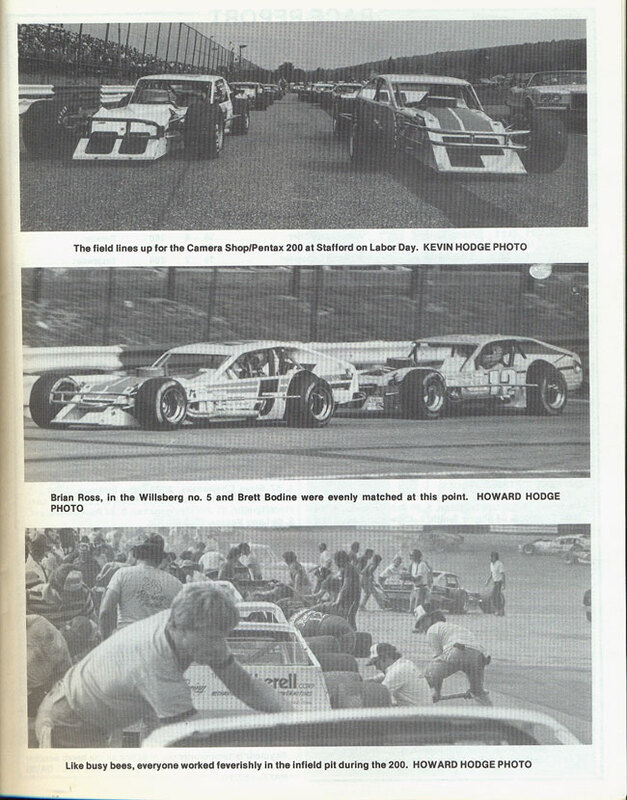 Bodine was the big winner of the year with 5 wins, with a grand total of 9 drivers winning modified races. 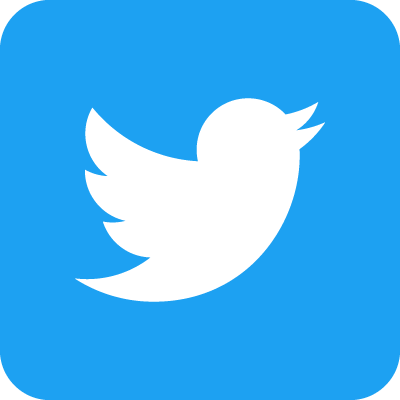 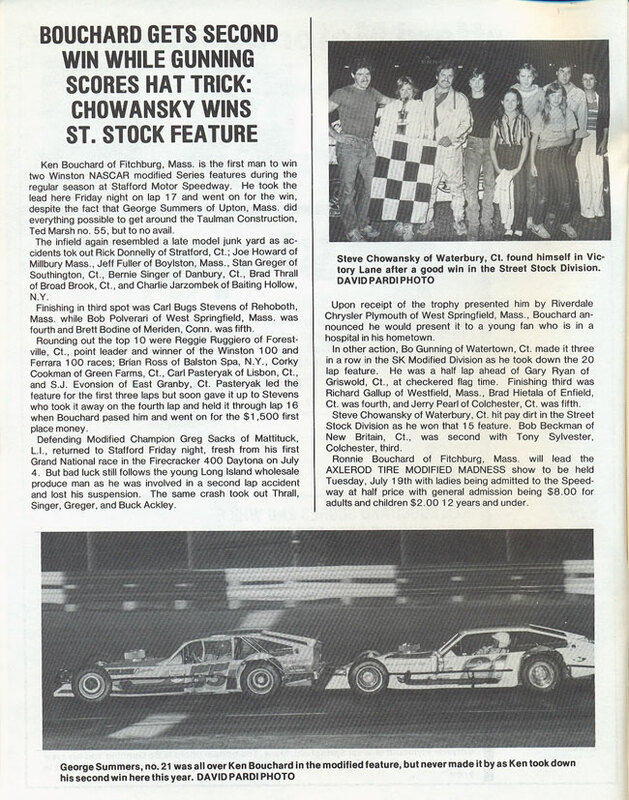 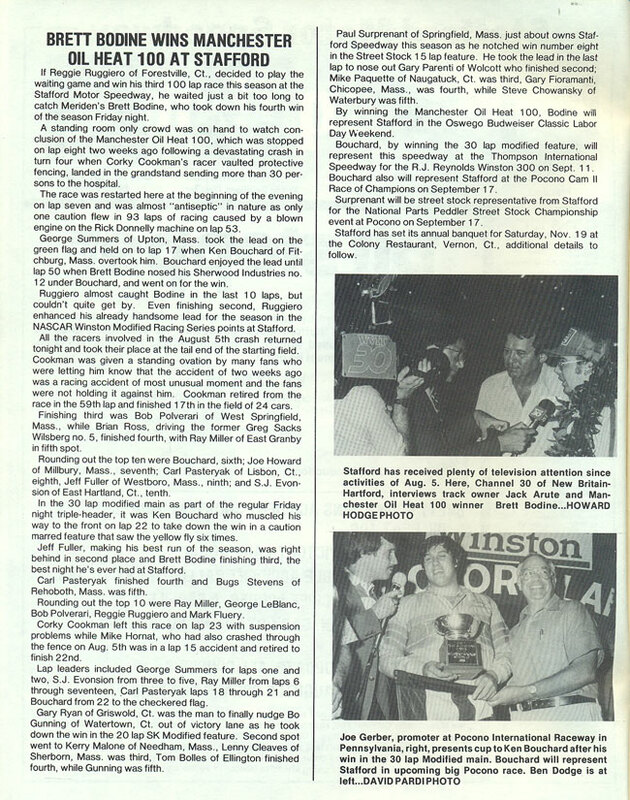 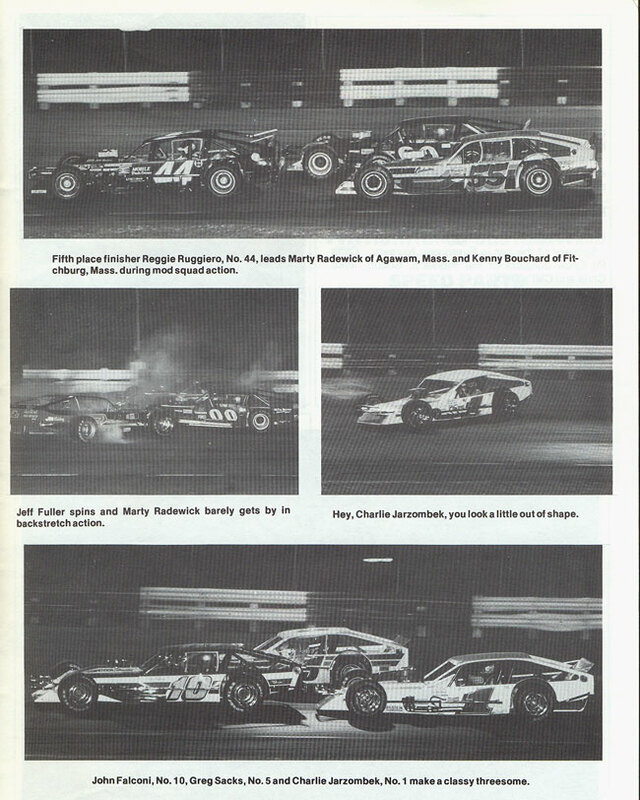 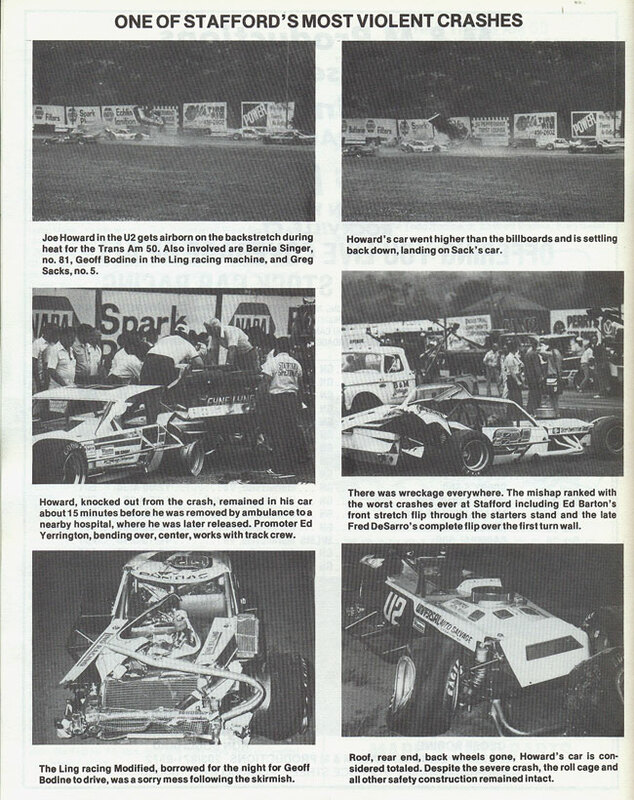 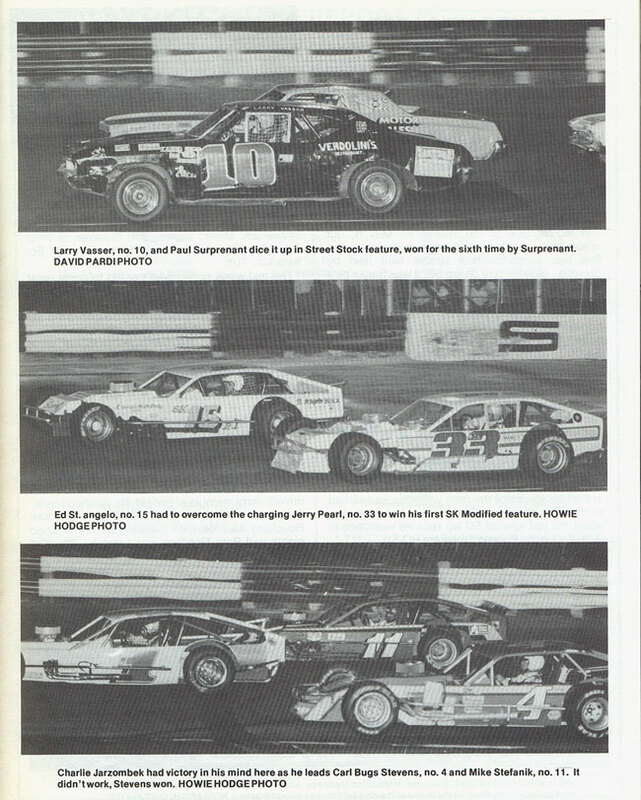 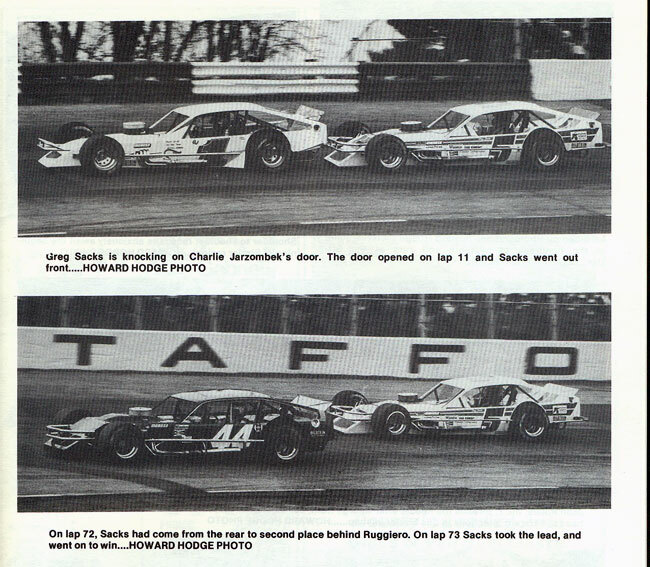 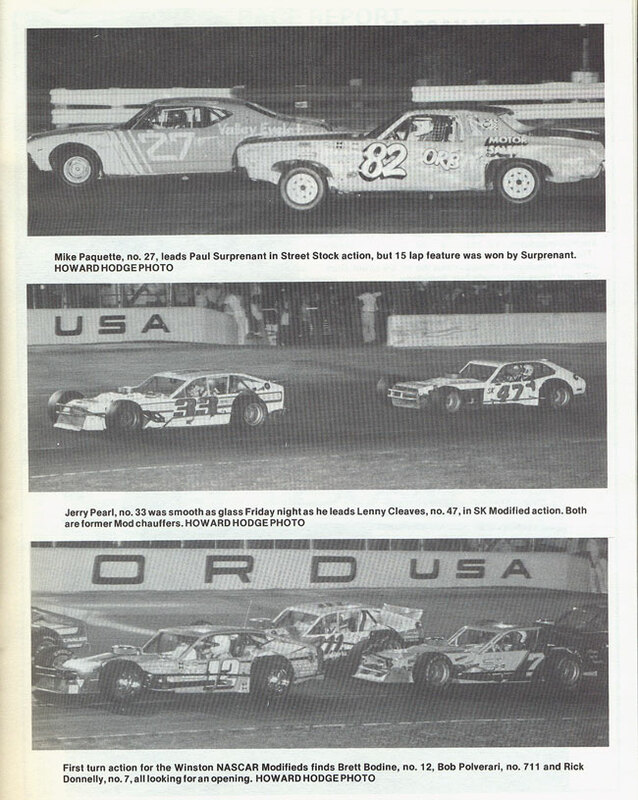 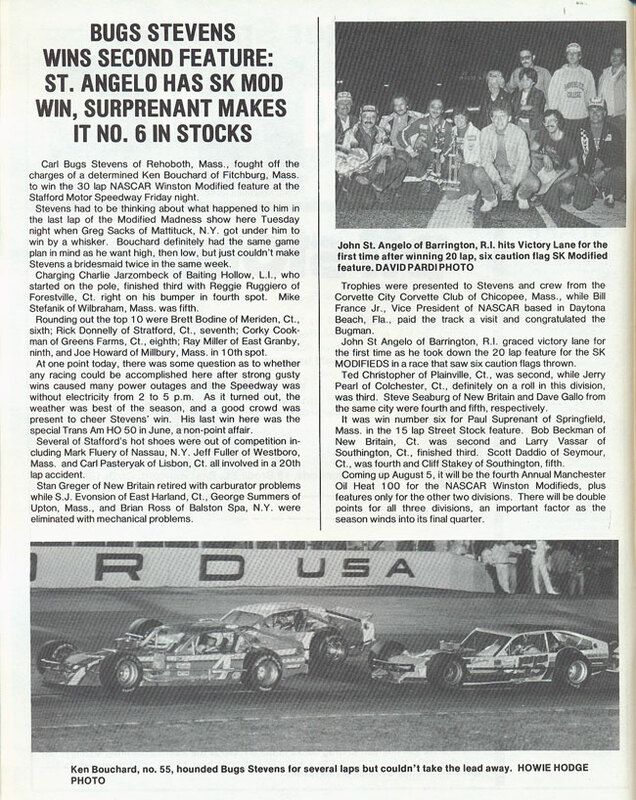 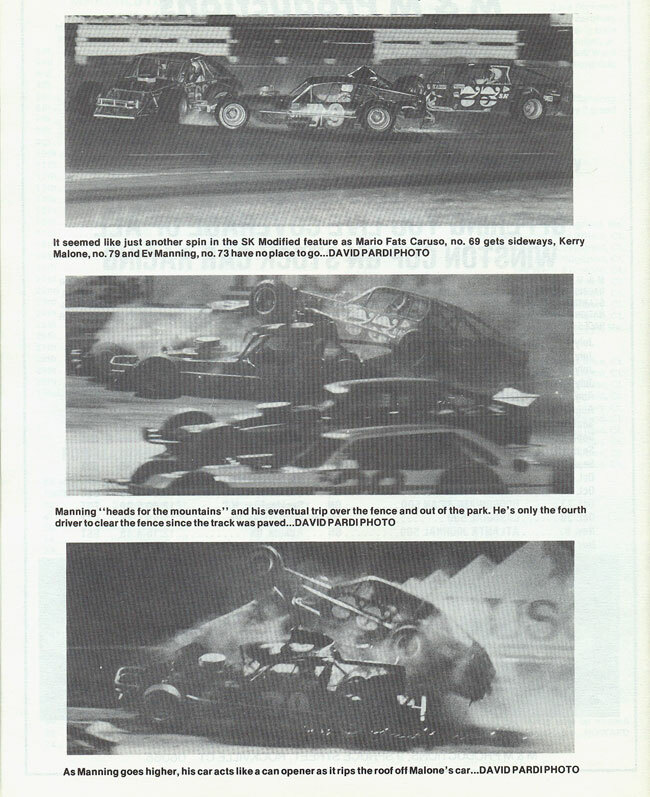 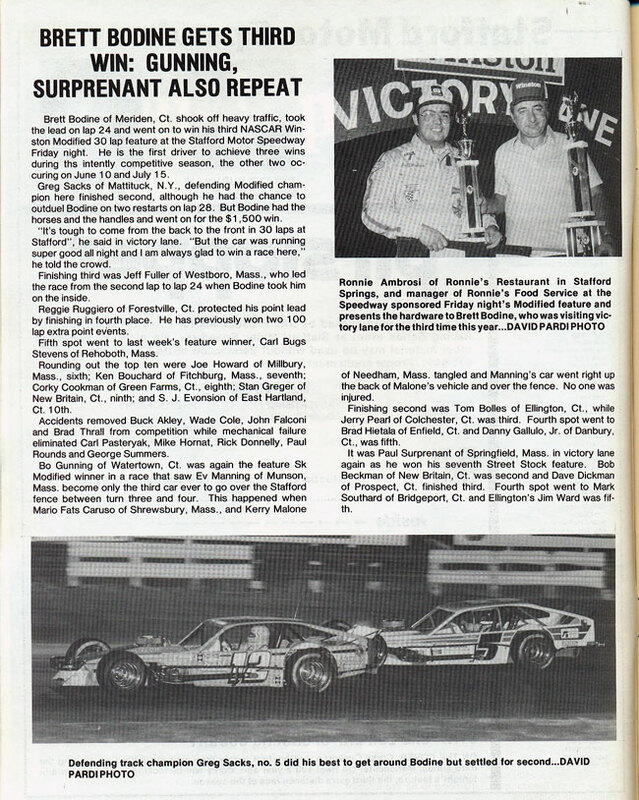 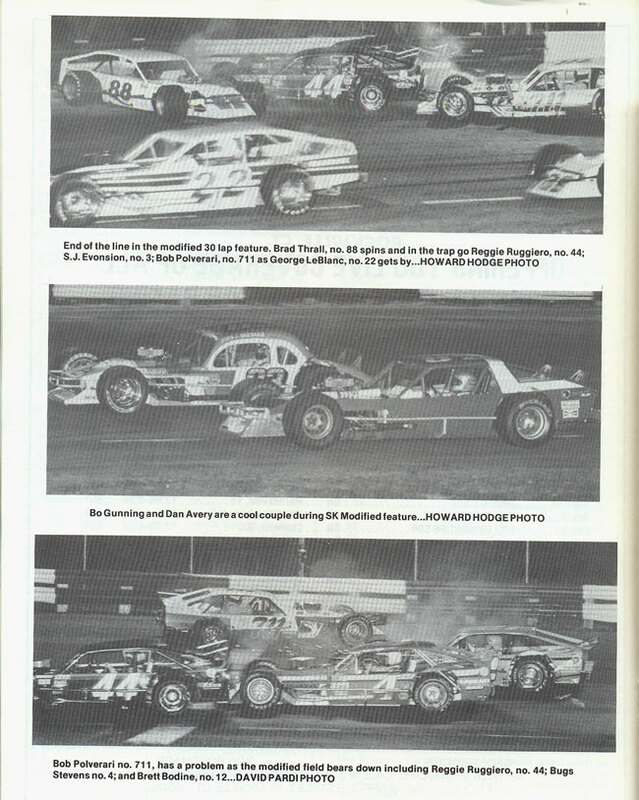 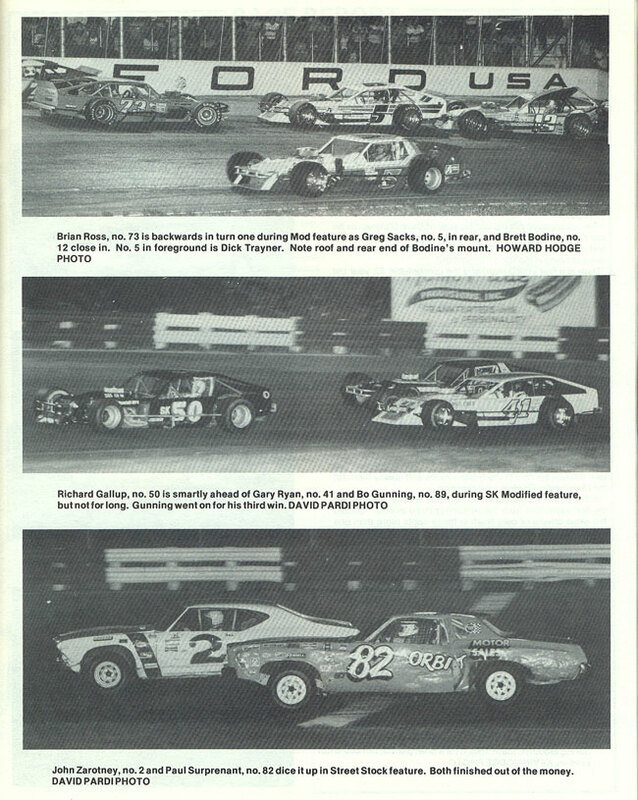 Bouchard totaled 4 victories, Sacks won three times, Ruggiero and Bugsy Stevens each took 2 wins, and John Rosati, Stan Gregor, Bob Polverari, and Richie Evans all won a single feature event.